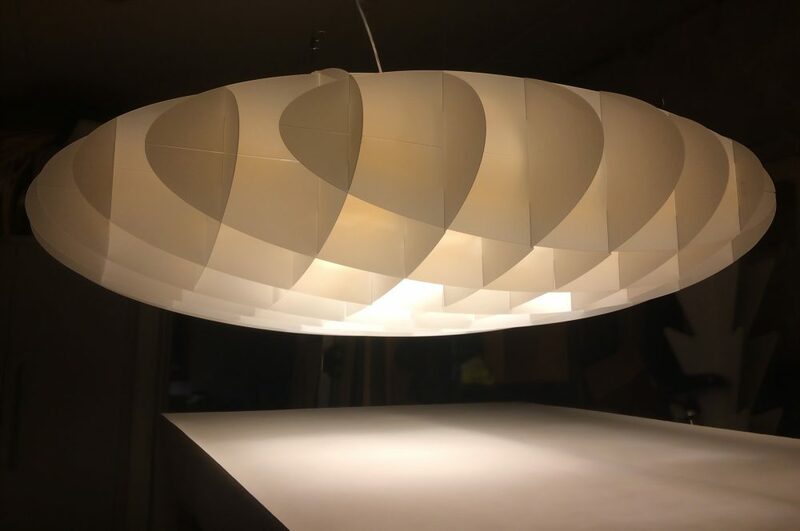 Layer is a large pendant light in Polycarbonate with an ovoid form in layered sheets with a vertical axis. 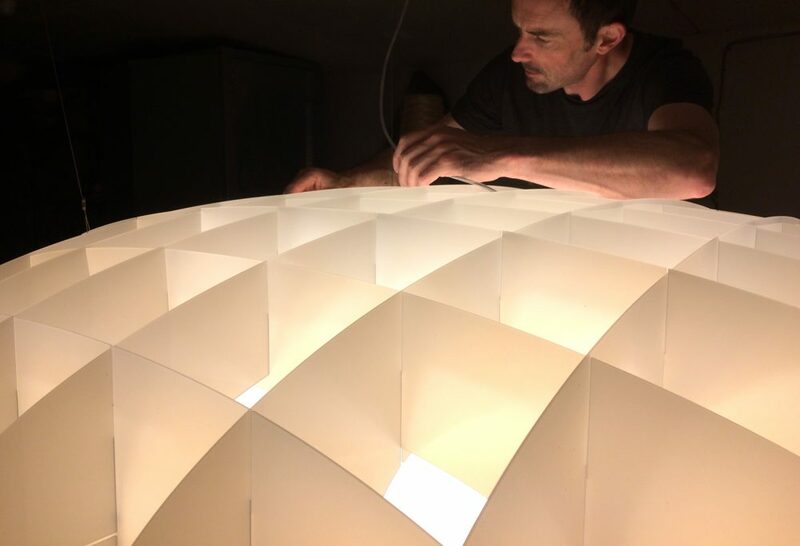 Each layer is carefully positioned so as to allow light from 5no. internal sources to penetrate through to each part of the shade without the bulbs being viewing from below. This is aided by an internal void and 2 diffuser discs top and bottom inside the fitting. Warm white Polycarbonate is used throughout with LED light sources available on dimmer settings if required. Photos show the pendant at the new boardroom for Celtic Pure Water in county Monaghan for Millimetre Design, Dublin.